Editor’s Note: We welcome back our good friend Cathy Nanni for another review of the fantastic Escape Reality Sarasota! Thanks again to Cathy for her insight, and we look forward to hearing more from her in the future! A Gothic Horror Tale set in London, 1905. Face your fears and enter the mind of a man who, after a recent trip to South Africa, has become entangled in forces beyond his understanding. The disappearance of the man and his family has managed to stump Scotland Yard’s finest. Can you solve this supernatural case? I never thought I’d write about the bathrooms of an escape room location in a review. Fortunately, it’s a favorable review! Escape Reality carries their fun party theme all the way into the lavatory with Disco Bathrooms. There’s disco balls, glittering walls, and color changing lights; it’s a rare occasion to find a place that encourages you to party in the potty! That’s just one of the many things that make Escape Reality a total gem! 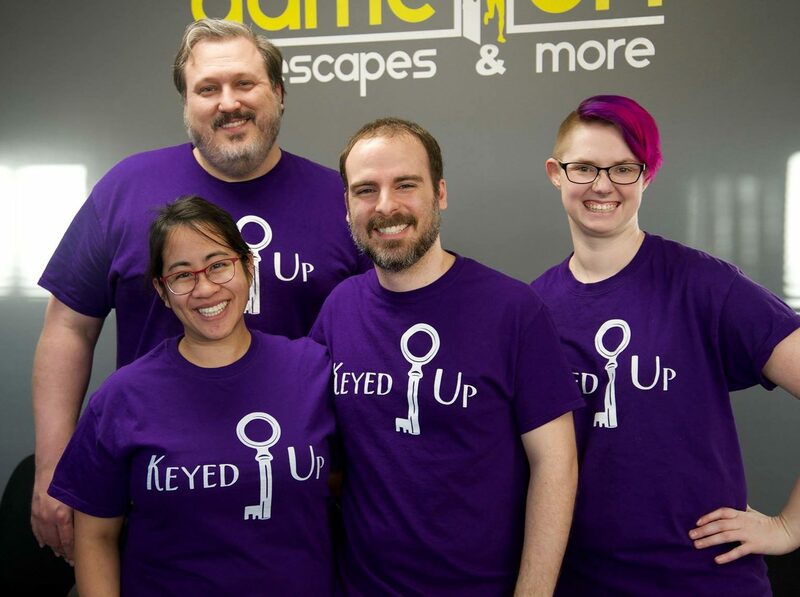 Not only do they have several fun escape rooms but there’s also ample space to hang out with your friends afterwards. They have a beer and wine license, a huge selection of board games, and host fun party events like trivia and karaoke. I have to admit when I was first looking at escape rooms to check out in Sarasota, I passed over Escape Reality the first few times. I was worried it was a bar just trying to jump on the escape room bandwagon and wrongfully assumed that the escape rooms would be an afterthought to the bar activities. I couldn’t have been more wrong! The owners are enthusiasts themselves who understand the need for a place to decompress after a room and chat about the experience with your friends. The wacky bathrooms weren’t the only surprise in store for us at Escape Reality. Descent Into Madness also had many fantastic twists and surprises! When we first entered the room, I wasn’t sure it was going to deliver the fear and tension I love so much about horror rooms. The decor is set up to look like a living room in Victorian London with a few occult themed items placed throughout. We began to solve the room and collected clues and hints about the story, and just when we thought that was going to be the gist of the room, everything flips on its head and the room instantly becomes much darker in tone – which was a welcome surprise for this horror queen! For a room set in jolly ol’ London, it has quite a bit of tech. Escape Reality does an excellent job of inserting the tech based puzzles seamlessly into the story of the room so it doesn’t feel jarring other than possibly making you jump in fright. As with Mafia Mayhem, my favorite part of this room was that I never knew what to expect and all of the room’s surprises were on theme and really engaging. I also appreciated the fact that there are a variety of puzzle styles throughout the room so there’s opportunity for all group members to have a moment to shine. This room is more linear so occasionally there were moments when a few people had to wait for other teammates to solve a puzzle. After having such a well themed clue system in their Mafia Mayhem room, I was a bit disappointed to be using walkie talkies for clues in this one. It was really the only aspect of the experience that felt off-theme. Descent Into Madness is really a descent into an excellent and terrifying escape room. The creators seem to understand good horror and how to put players on edge. After starting in a seemingly ordinary room, the tension builds as you slowly discover the story and things begin to change in room slowly, creating a creepy atmosphere until you hit the climax of the story when the room becomes truly terrifying! Book your descent here! Full Disclosure: Escape Reality provided media discounted tickets for our team.